Understanding both sides of real estate is important. You’re either purchasing a home or you are selling your home. At some point in our lives we may need to put out the sign on our lawns that state, “home for sale”. In the Cincinnati market property values are coming back. In order to get the best price from the sale of your home you must think like a potential buyer. There are many remodeling ideas that homeowners go through over the course of living in a house. Here are some things to consider before putting your “home for sale” in the local real estate market. In today’s economy, and the heightened awareness to save the earths resources, homebuyers are very interested in energy-efficient items within the house. It is important to have your realtor point out everything to the potential client that falls into the efficiency category. Be aware of areas that can cause concern for the buyer. Many times the homeowner who is selling their property does not think about how a pet will devalue their residence. The Buyers, who may not be animal lovers to begin with, are now thinking about possible damage caused by an indoor pet. A bedroom that has a customized paint job for little Tommy with trains all over the walls should be painted. Applying a solid neutral or non invasive color, such as white, light brown or beige may perhaps keep the buyer from thinking how many coats of paint will cover all the trains so the room may become a home office. A clean appearance is critical when showing your home. Nobody wants to walk into a house and see clutter on the floor, a dirty bathroom, or a kitchen sink full of dirty dishes. 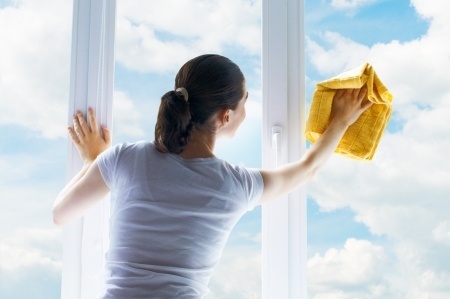 It is important to take the time and clean your home before Buyers arrive. There is a lot of stress that comes from selling a home, but remembering these tips can help to make sure that you get the best price for the value for your property. This entry was posted in home buying, Selling your home and tagged home for sale. Bookmark the permalink.